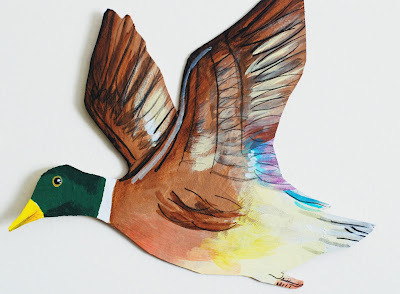 I know you are anxious for the giveaway results and I have kept you waiting almost all day.......but I've been working on this Duck project. 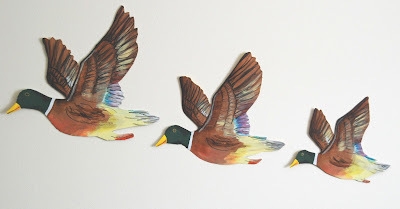 So maybe you remember that set of ceramic ducks on the wall of your Grandma's house, I sure do! 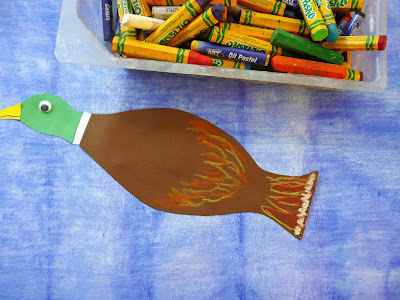 Why not make it an art project...perfect for Fall. The ducks haven't left yet but it's only a matter of time. ...and for the little guys you can make this handprint duck. 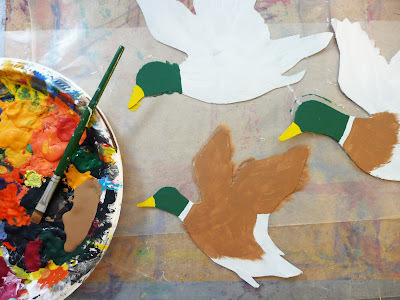 Using your templates trace out your 3 ducks on to your cardboard. I gave mine a coat of Gesso. 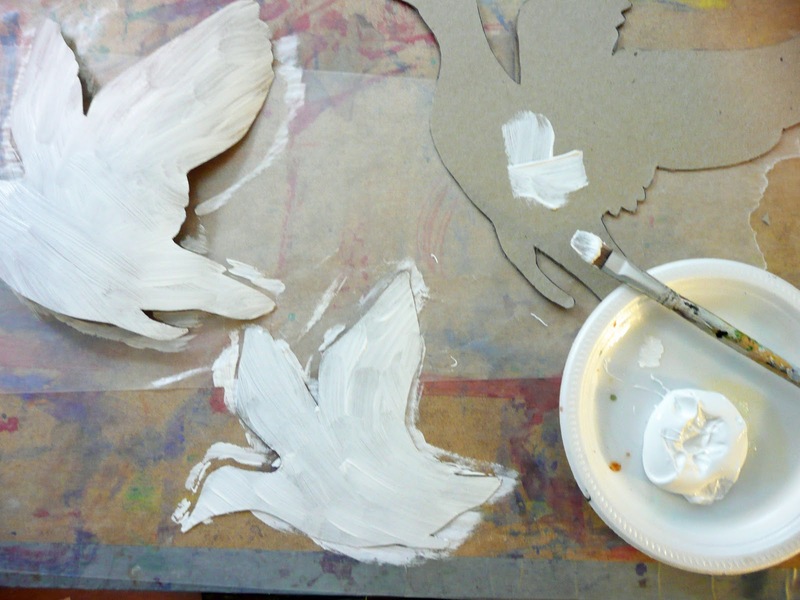 Now start painting. I used acrylics so I want to put in my base coat colors first and then add my fine details and shading. 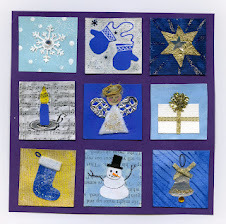 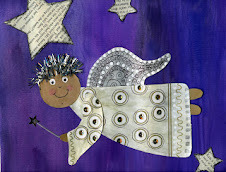 When you are finished painted add a coat or two of ModPodge. This will give the cardboard extra weight and protect it for years to come. Add a hanger on the back. 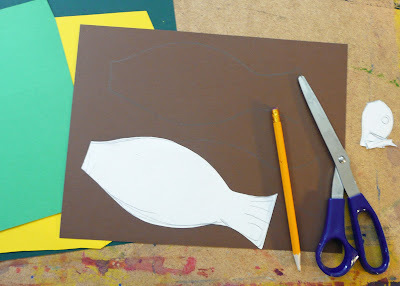 Now you can easily make these out of posterboard instead and get the kids to use pastel or colored pencil. Tape down your wc paper on to your art board. 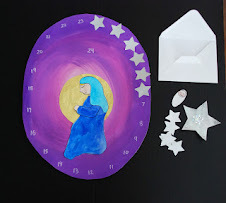 Paint in your blue background with tempera disk paint. 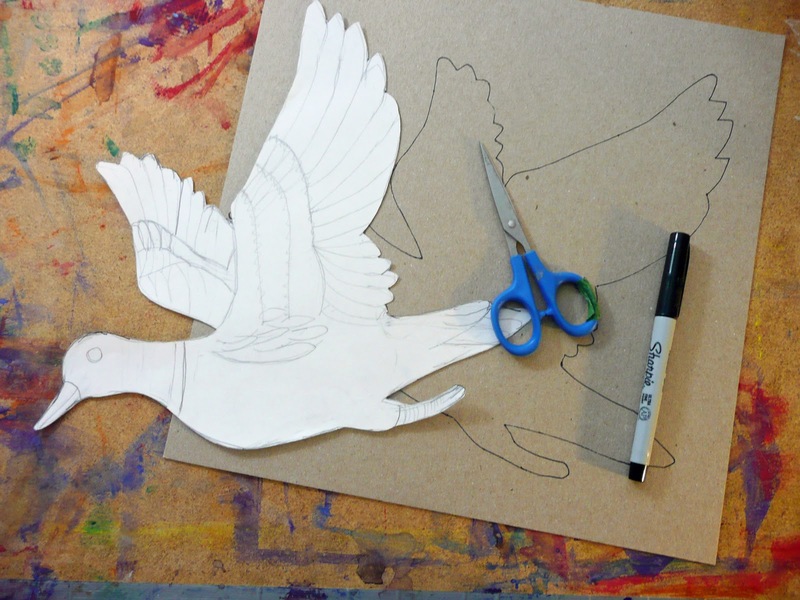 Using the template or designing your own cut out the body parts for your duck. 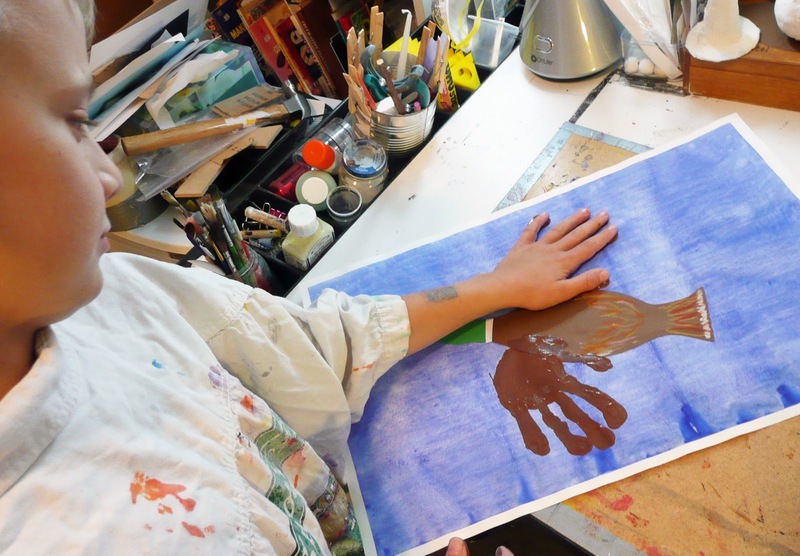 Glue onto your background in the center, make sure you have room for your handprints. 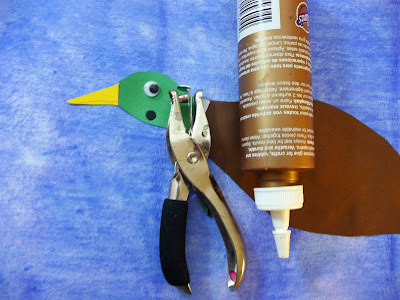 For the eye you can glue on a googly one or make one out of black paper and a hole punch. Take some brown tempera paint and place on a plate. Shake a little to make the paint flatten a bit so you have a large surface to place your hand in to. 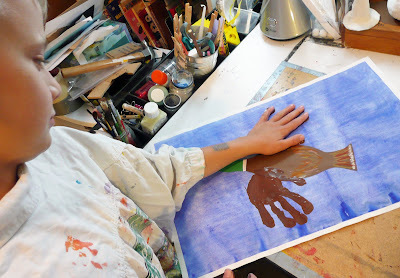 Dip hand in to paint and then make print on the paper. 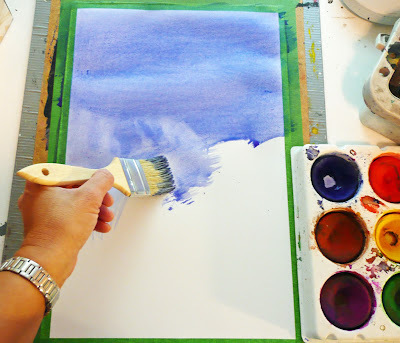 After paint is dried come in with some pastel or colored pencil to add a few details. 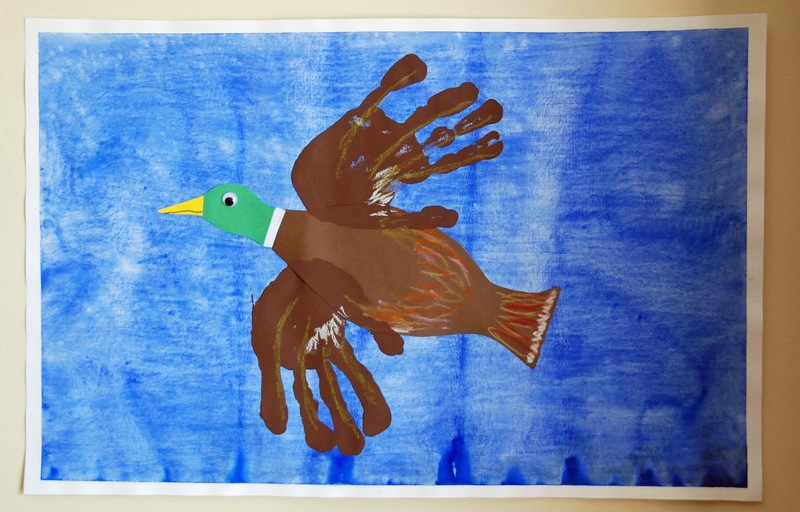 As you can see we did it before the handprints but found we had to come back in again to add some to the wings so do it after. 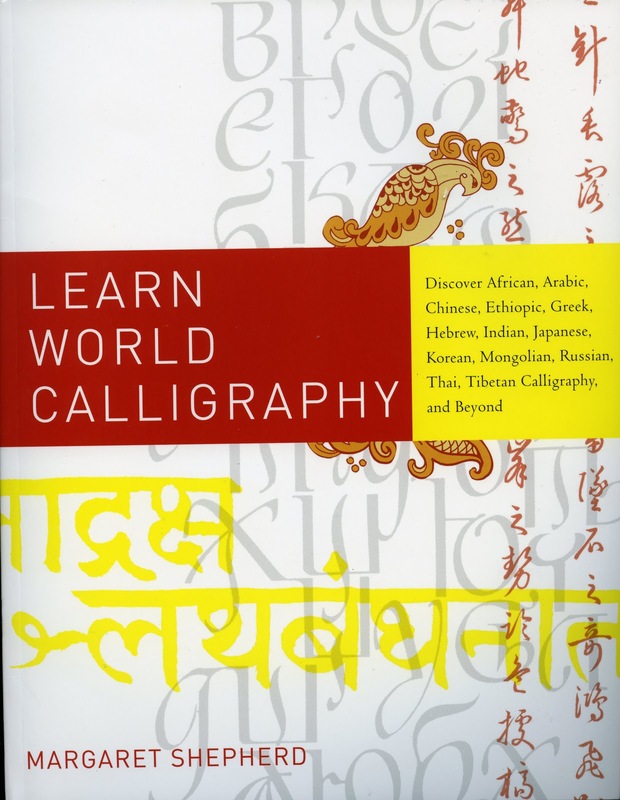 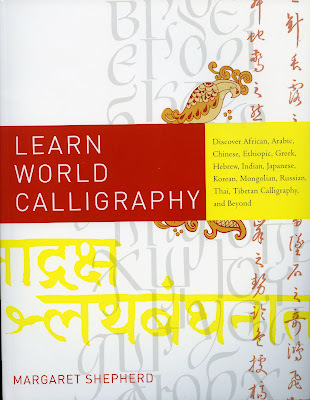 On to the Giveaway for this wonderful book: "Learn World Calligraphy". I had 49 comments and 27 emails for a total of 76 entries. 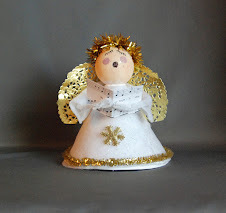 I follow your posts religiously and would love to receive this awesome resource." 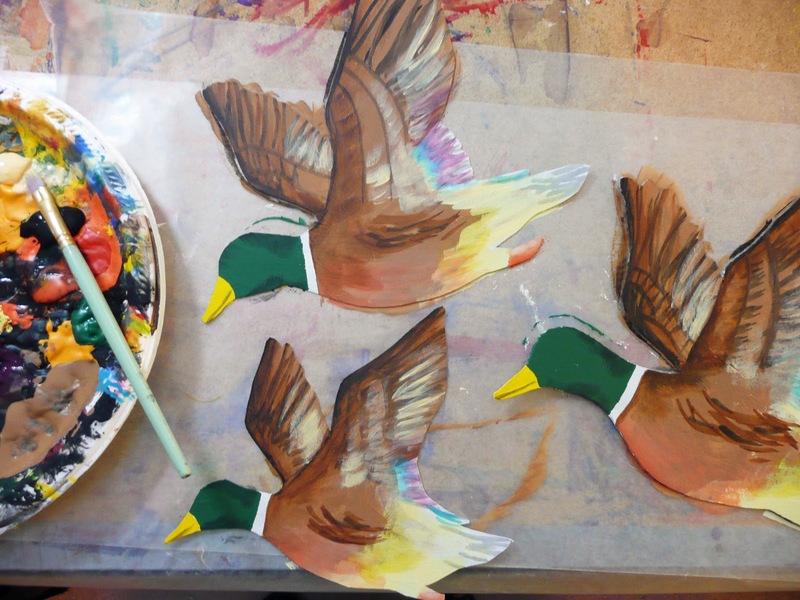 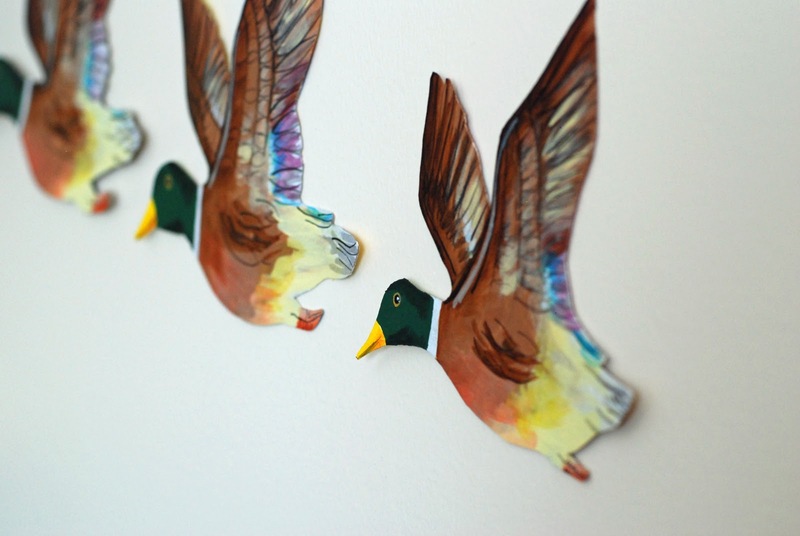 Thanks everyone for entering and we will see you soon.....in the meantime make some ducks!